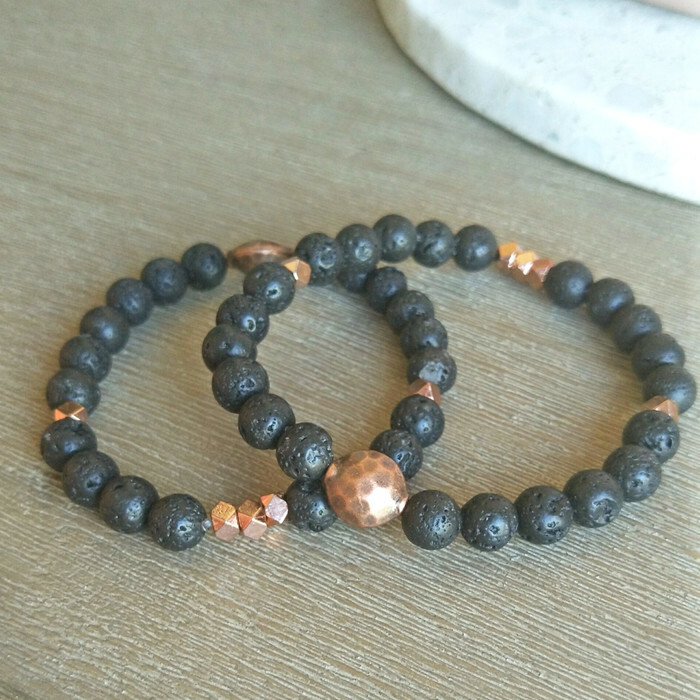 This bracelet’s main focal point is the lovely hammered antique copper, oval bead. 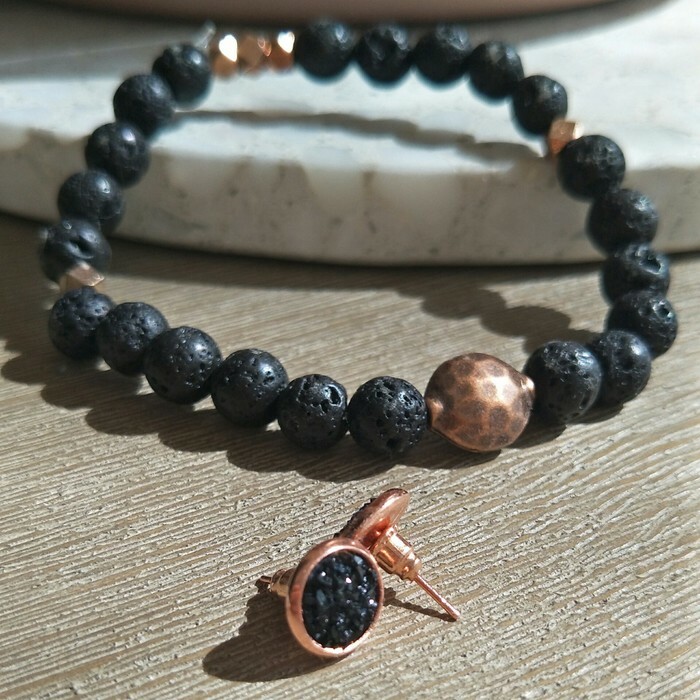 I have also added 5 faceted spacer beads which break up the black lava beads and which complement and add another colour and texture to this beautiful yet simple bracelet. This bracelet can be used for infusing essential oils. To use essential oils on our larva stone bracelets just dab a few drops on a bead and enjoy the benefits of your favourite oil all day long! Each piece is handmade in my studio. *Please be aware that the colours you see on your screen may differ slightly from the actual colours of the beads. Products are shipped once payment is received.